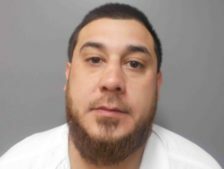 Jeff Davis Sheriff’s deputies received information that a male subject was wearing a sheriff’s uniform and had uploaded a video onto Facebook in the uniform. During patrol of the area the video showed deputies located two of the persons in the video with the unformed male Sunday evening. The two males were questioned and denied knowing the uniformed male or is location. 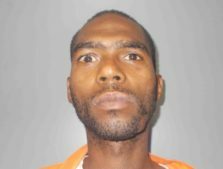 Wilbert Lewis Jr., 31, of 1014 S. Broadway, Jennings and Luke Freeman, 37, of 324 Spencer street, Jennings were both arrested and booked into the parish jail for aiding and abetting fraudulent portrayal of an officer or firefighter. 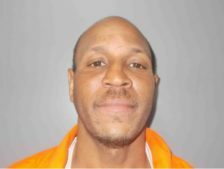 Lewis was also charged with an outstanding warrant from Jennings Police for Disturbing the peace and resisting an officer. 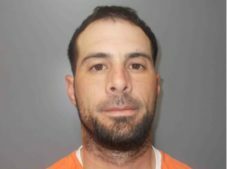 The third arrest occurred Sunday evening when deputies located the male, Christopher Mathew Villanueva, 32, of 2064 Jeff Davis Academy road, Lot #28, Jennings was arrested for false personation of a peace officer. Friday night around 11:00 pm , deputies were dispatched to 352 Crystal Lane, Ragley in reference to a disturbance. The victim advised she was punched in the stomach, kicked and shoved in the home by her boyfriend. Deputies placed Joshua Rider, 38, of 352 Crystal lane under arrest for Domestic abuse violence. Rider is held with no bond. Two other arrests stemmed from individuals being picked up on outstanding warrants. 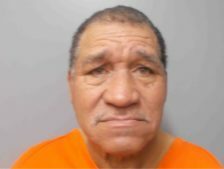 James Guidry, 73, of 19030 Hwy 383 Iowa was arrested Sunday on warrant for Domestic abuse child endangerment and Domestic abuse battery for an incident occurring on February 13, 2017. 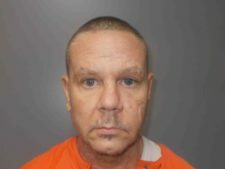 Sean Michael McManus, 45, of 134 White oak drive, Many , LA was arrested Friday on outstanding warrants for2 counts issuing worthless checks in 2016.